Tess Power grew up there, but now, from her cosy cottage shared with teenage son Zach and nine-year-old Kitty, Tess faces a crumbling marriage and a dwindling antiques business. Lively, exuberant Mara seeks the sanctuary of Avalon and her solitary Aunt Danae to put her life and her newly married ex behind her. As the village post-mistress, Danae can always be relied upon – but beneath her gentle exterior, she guards her past as carefully as Avalon’s letters and secrets. 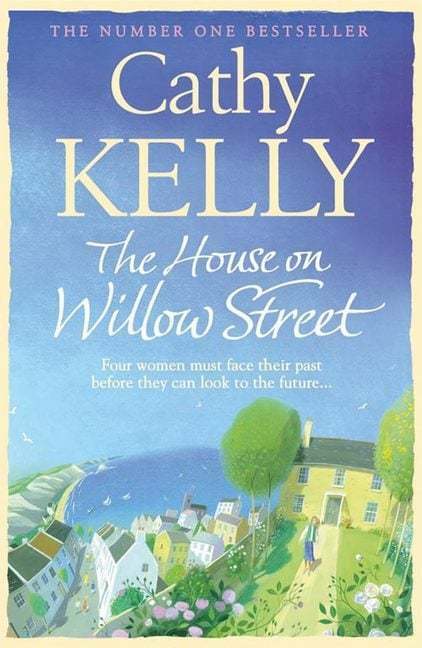 But the big house is up for sale….and with it its memories, especially for Cashel, who returns to the town for the first time in many years with the ghosts of the distant past – and the woman he swore to forget – still haunting him. Cathy Kelly is published around the world, with millions of books in print. A number one bestseller in the UK, Ireland and Australia, her trademark is warm Irish storytelling about modern life, always with an uplifting message, sense of community and strong female characters at the heart. She lives with her family and their three dogs in County Wicklow, Ireland. She is also an Ambassador for UNICEF Ireland, raising funds and awareness for children orphaned by or living with HIV/AIDS.